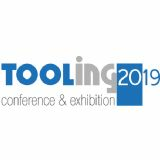 The 11th Tooling conference and exhibition takes place in Aachen, Germany and welcomes more than 250 manufacturers and further processors of tool steels. Tools play a decisive role in the manufacturing chain, as they substantially influence key factors such as cost, leadtime, as well as product design, quality and perfomance. Improvements in tooling, therefore, have the potential to strengthen the competitveness of virtually any manufacturing company. 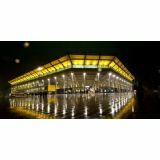 This conference covers research and development within the complete scope of tooling along the entire value chain, from material design and improvements to current application trends from all parts of the world. Among many others typical applications are tools for precision blanking, massive forming, pressure die casting. Focus will be given to tool steels ranging from cold- and hot work tool steels to high speed steels and plastic mold materials.